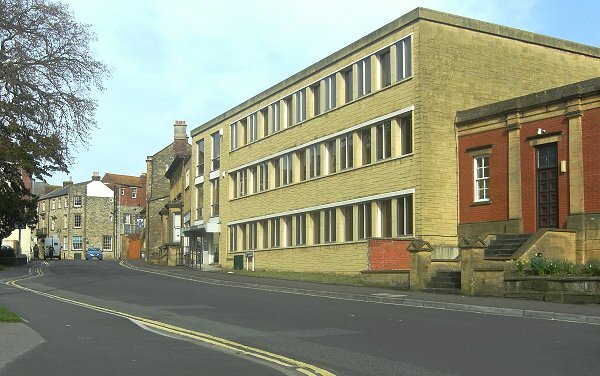 Nelson Jennings Dibben was born in the spring of 1885 at Plush, Dorset, near Piddletrenthide. He was the son of dairyman John Dibben (1849-1899, later to have a brief spell as the landlord of the Rustywell Inn) and his wife Kate (b1851). In the 1891 census John and Kate were living at Duck Dairy, Puddletown, with their children Harry (b1874), Ethel (b1877), Leonard (b1878), Clara (b1879) and 6-year old Nelson. Both John and his eldest son Harry gave their occupations as dairymen. By 1901 John had moved his family to Dorchester and the family were listed in the census living at 6 Osborne Villas. Only Harry and Nelson were living at home; John was now working as an ironmonger's carman although Harry was still a dairyman. 16-year old Nelson's occupation was not listed. In the spring of 1908 Nelson married Agnes Bessie Brown at Yeovil. Agnes had been born in Taunton in 1886, the daughter of draper Thomas Brown and his wife Mary. The 1891 census listed Thomas and Mary at 13 Paul Street, Taunton, with their three children; William (b1883), 5-year old Agnes and John (b 1888). By 1901 Agnes was in service in Bath, Somerset, where she was a kitchen maid in the service of Lady Walker at 3 Royal Crescent, Bath. By the time of the 1911 census both Nelson and Agnes were in service; he was the butler and she was the cook at Burton House, Sherborne, Dorset, in the service of Mrs Blanche Hoare. By 1914 however Kelly's Directory listed Nelson as a dairyman of 61 Hendford, Yeovil. The listing was repeated in Kelly's edition of 1923. In April 1917 Nelson, by this time aged 32, was given exemption from National Service on condition he volunteered for war work. He was classed as 'Cii' and noted as a retail milk seller. By 1935 however Kelly's Directory listed Nelson as a pastrycook at 61 Hendford and as a confectioner at 11 Hendford and also at 20 (actually 2) High Street. The 1939 edition of Kelly's Directory repeated the listing but substituting 2 High Street for 20 High Street (which was part of Denner's at the time). 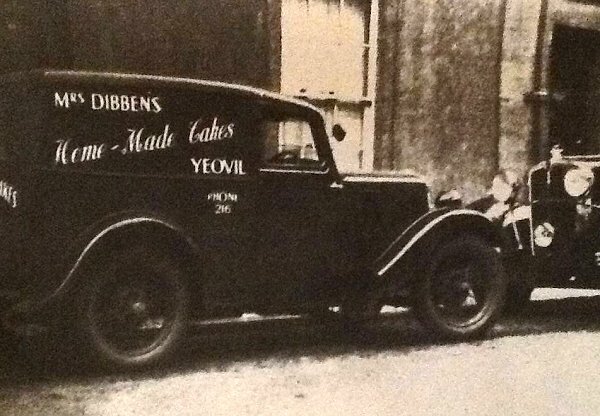 Their main product line, as witnessed by the sign on their delivery van (photographed below), was undoubtedly "Mrs Dibben's Home Made Cakes". In the early 1930s there were thirteen bakers and confectioners in Yeovil. Many thanks to Nelson and Agnes' granddaughter, Annie Snow, for the following "My grandfather was Nelson Jennings Dibben who, with my grandmother, Agnes Bessie had Dibben's cake shop in Yeovil. I believe it was quite famous. It had the bakery in Hendford and my sister tells me the shop was near the Mermaid pub. Nelson and Agnes had five boys with my father, Graham, being the only one staying in Yeovil and he worked at Pittard's as the Imports Director. Don was the Industrial Reporter for the Daily Telegraph, Roy was a sometime publican, Peter owned a tobacconist shop in Bournemouth (but see also gallery item below) and Ken was a teacher. None of the family live in Yeovil any more." The bakery continued into the 1950s and Nelson and Agnes retired to Portesham before returning to live in Yeovil once more. Nelson Dibben died in the spring of 1967, aged 82, and his granddaughter Annie Snow remembers "My grandmother lived until she was 93 and even in her late 80's she was still making gorgeous chocolate éclairs. I couldn't wait to go and have Sunday tea with her when I was a child!" 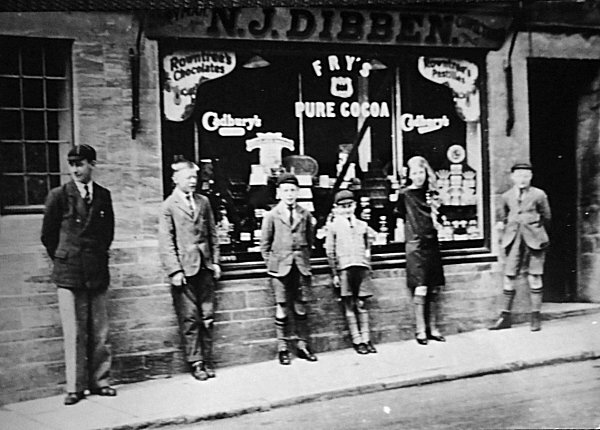 The five sons of Nelson and Agnes, photographed in front of their parent's confectionery shop (in High Street) around 1930. From left to right:- Don, Roy, Graham, Peter, cousin Barbara (who spent her life in America) and Ken. Peter worked at the bakery for some years. Life wasn't all plain sailing - a notice from the 26 August 1927 edition of the Western Gazette. Hendford photographed in the 1960s, looking towards town with the boundary wall of Hendford Manor just glimpsed at extreme right. Dibben's bakery (by the time of this photograph it was Chappell's bakery) is the large three-storey building at centre and, apparently, known as London Cottage when Mrs Dibben. A closer view of the three-storey former Dibben's bakery in a photograph of about 1965. 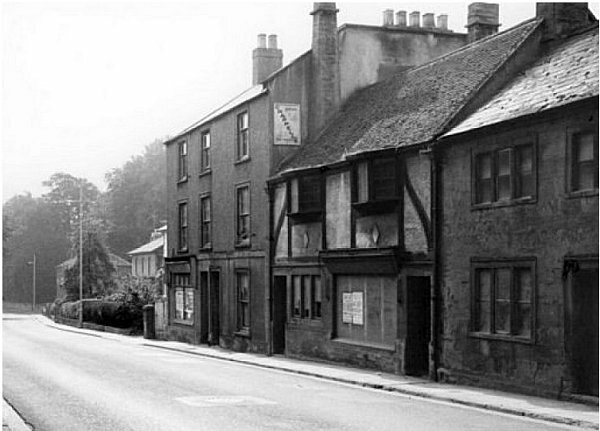 Next to it, the boarded up, half-timbered building was the London Inn and when advertising 'Board Residence' (see next item) Mrs Dibben gave her address as "London Cottage, 61 Hendford". A 'small ad' placed by Mrs Dibben in the 9 May 1913 edition of the Western Gazette. (I think Agnes' idea of a 'cottage' and mine differ somewhat). The delivery van for Mrs Dibben's Home Made Cakes of Yeovil. Probably dating to the 1930s. Nos 1a and 1b High Street photographed in 2012. 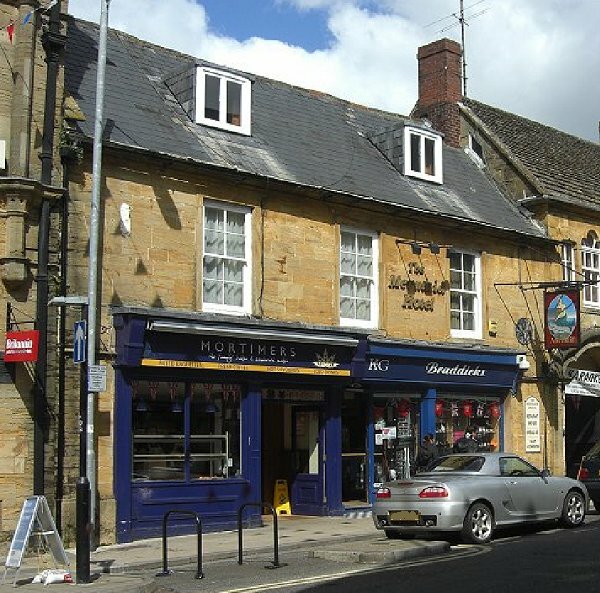 Mortimer's premises was formerly one of two outlets for "Mrs Dibben's Home Made Cakes" and confectionery in the 1930s and '40s. 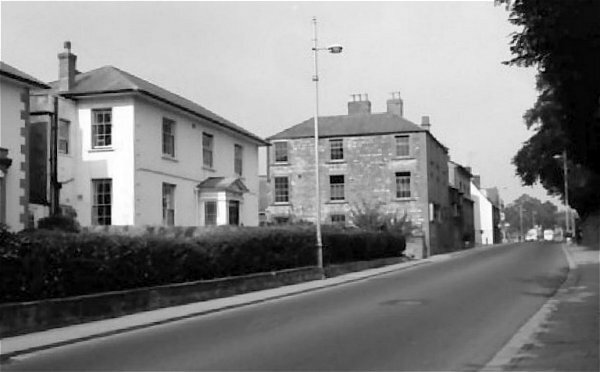 Taken from outside the Manor Hotel, this photograph dates to about 1960. 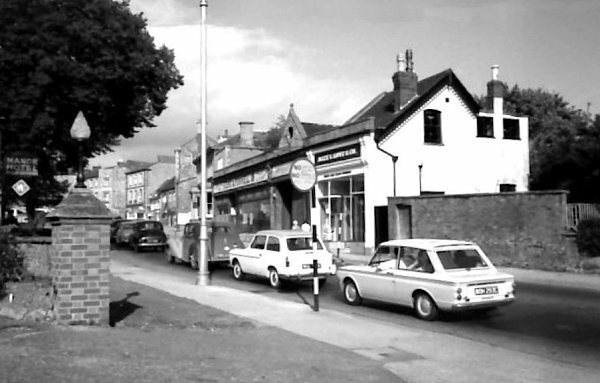 Stent's fish shop is at centre and the second of Dibben's two cake and confectionery shops was next to it. This short parade of shops had earlier been known as 'The Rink' (because it had originally been built as a skating rink) and had later been Henry White's Furnishing Warehouse. .... and pretty much the same scene in 2014. 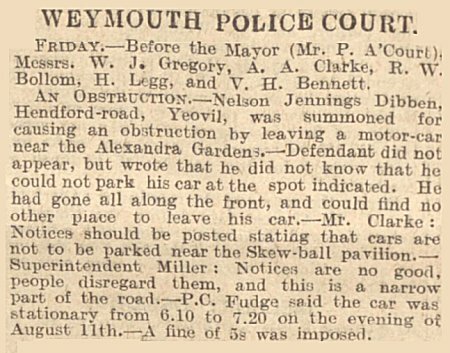 Included for interest as it is such a delightful story - from the 9 March 1946 edition of the Taunton Courier.